Summer Refreshment is a printable coloring page for summer time. 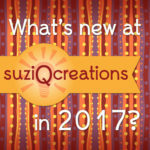 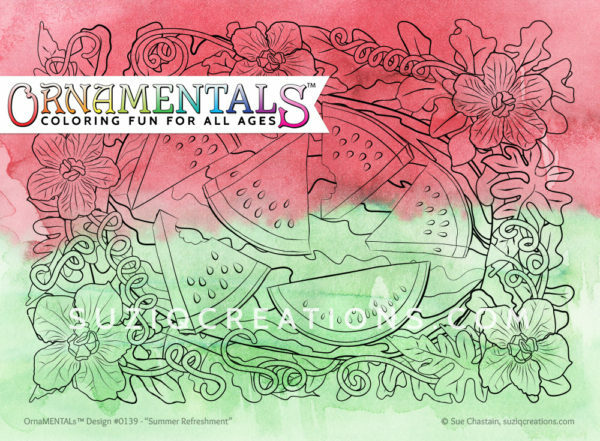 This design will get you in the mood for summer with one of the best summer time treats–watermelon. 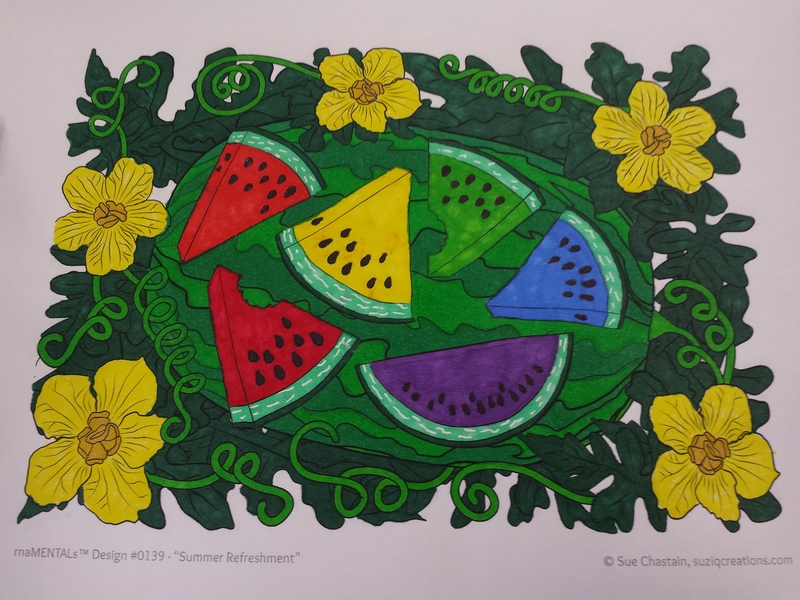 This “Summer Refreshment” coloring page depicts a watermelon and watermelon slices surrounded by a flowering watermelon vine with blooms, leaves, and coiled tendrils. 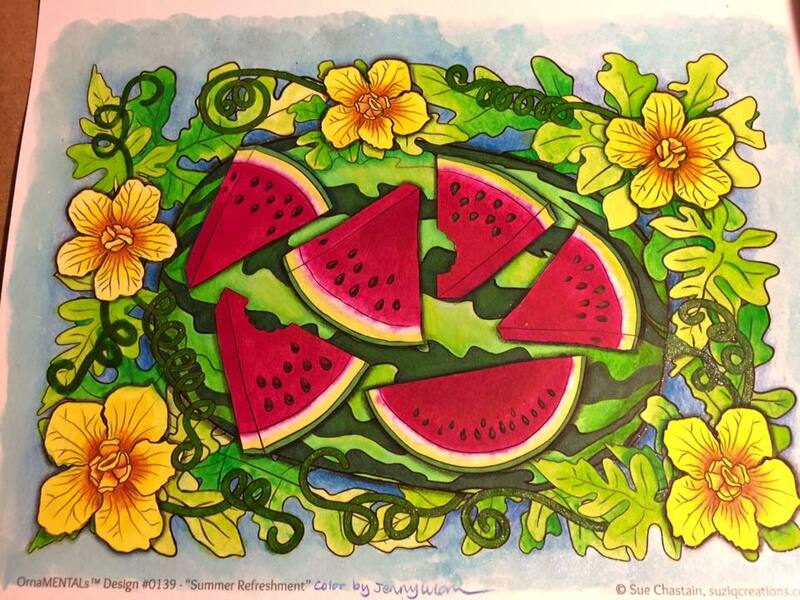 “Summer Refreshment” is a watermelon coloring page for summer time. 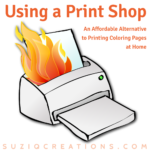 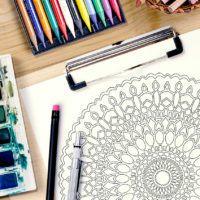 Print and color it however you like. 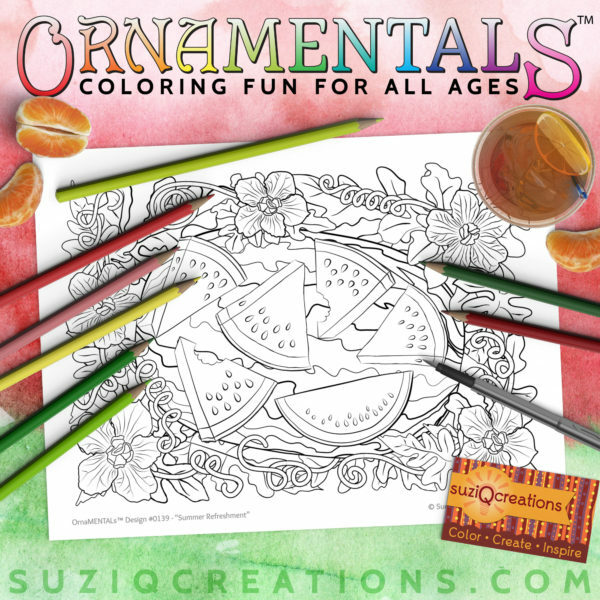 Summer Refreshment is a printable coloring page for summer time. 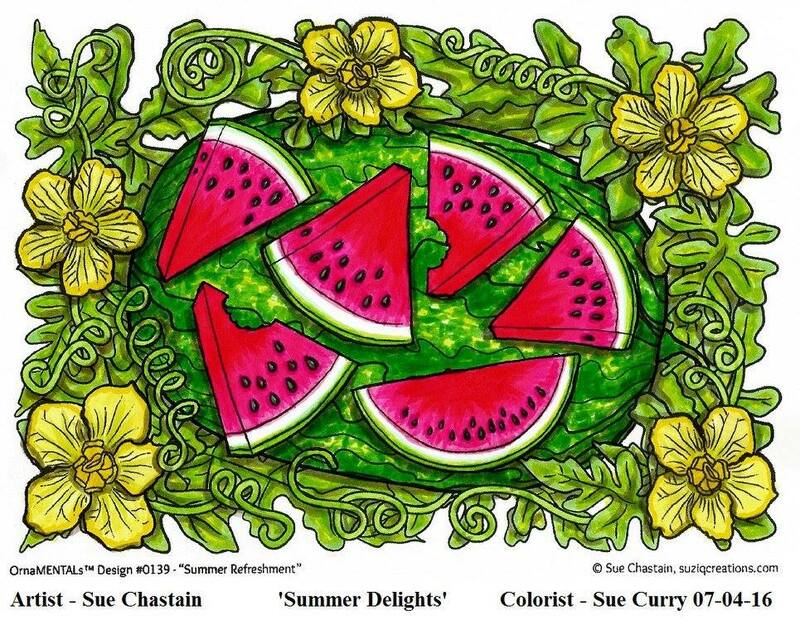 This design will get you in the mood for summer with one of the best summer treats–watermelon. 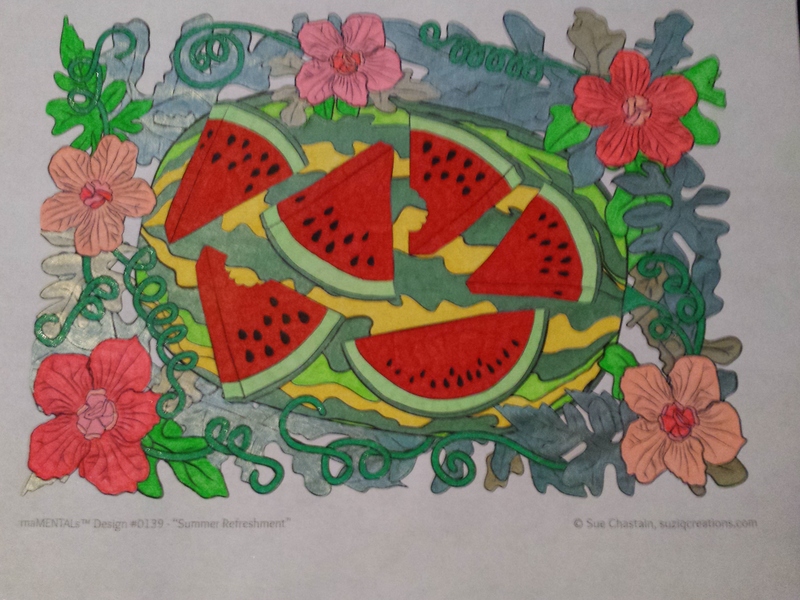 The image depicts a juicy fat watermelon, along with beautiful slices of melon, surrounded by a watermelon vine complete with blooms, leaves, and coiled tendrils of the vine. 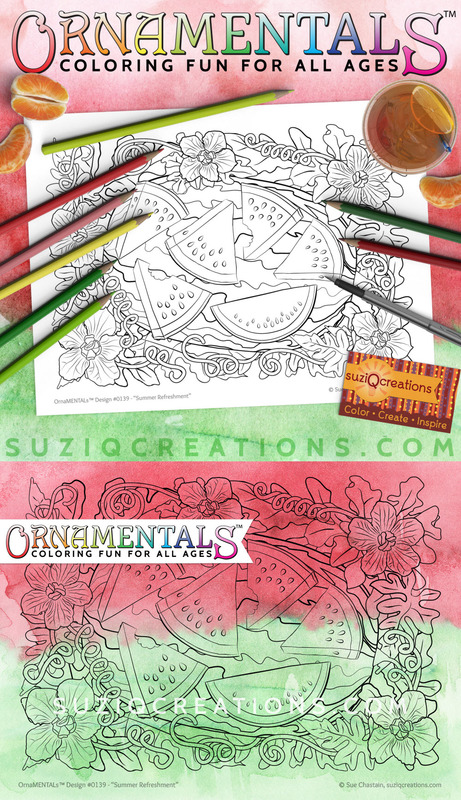 Think about how you will savor your next bite of juicy, cool watermelon goodness as you color this refreshing summer coloring page. 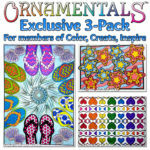 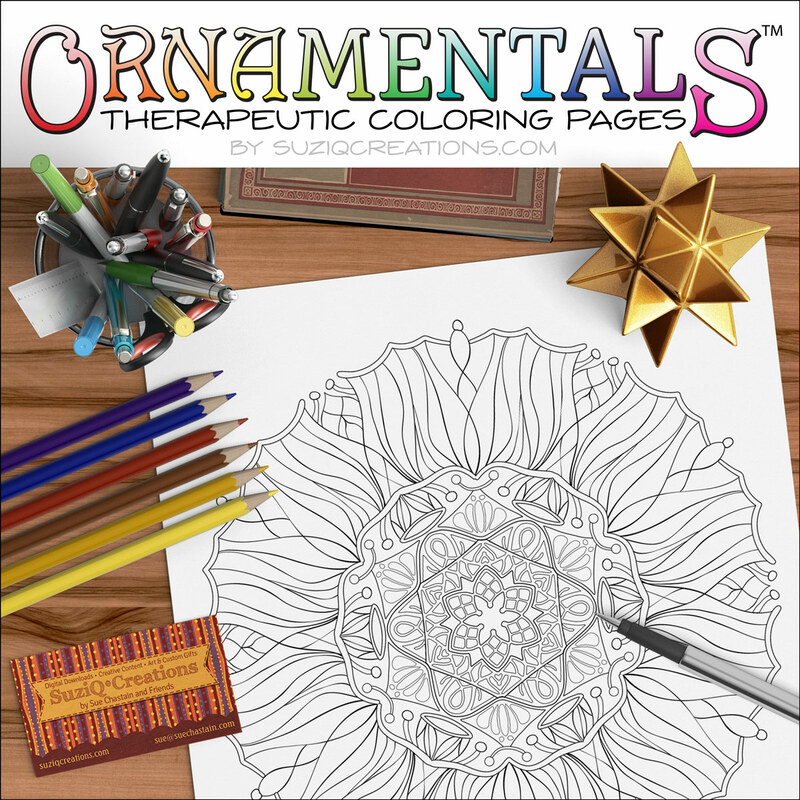 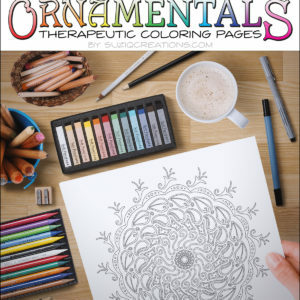 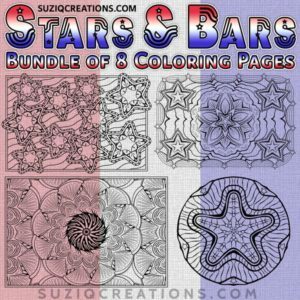 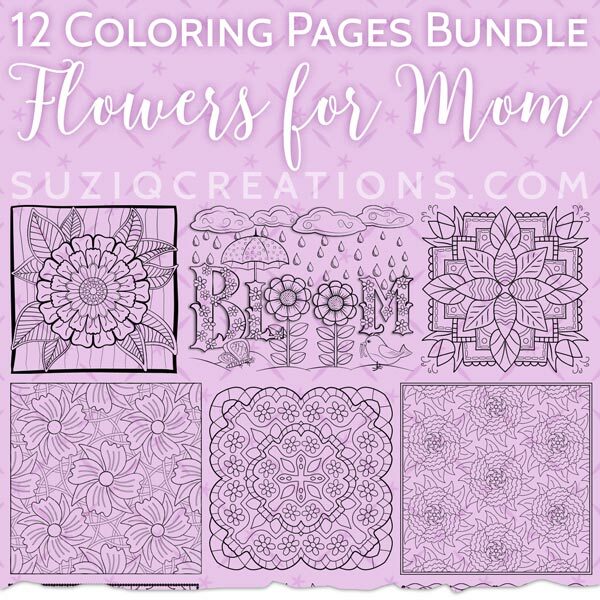 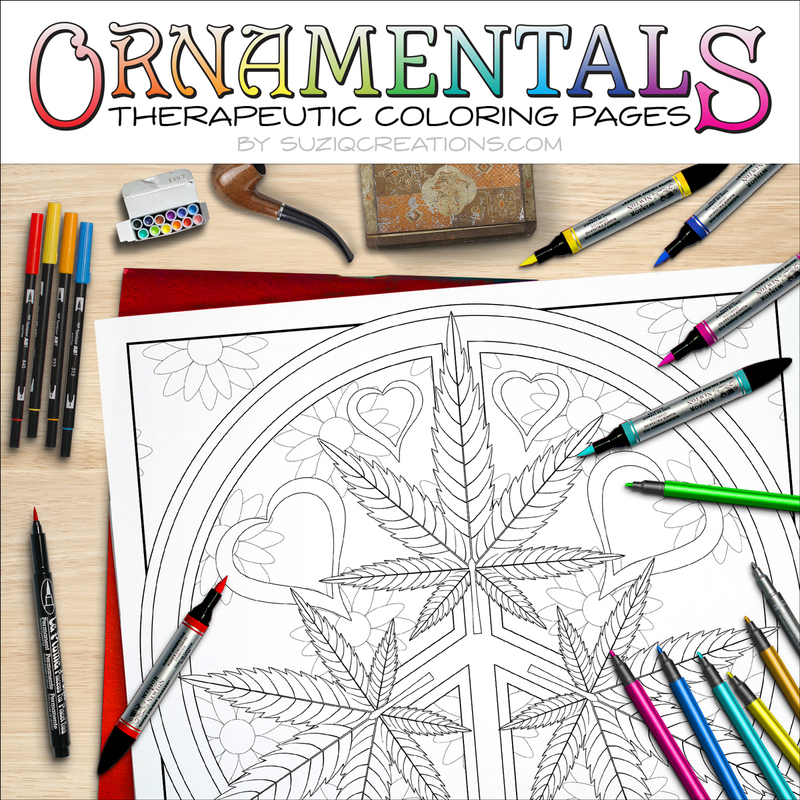 This page is also included in the Summer Delights bundle of nine coloring pages. 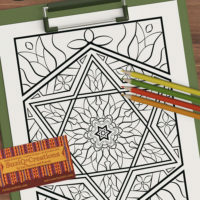 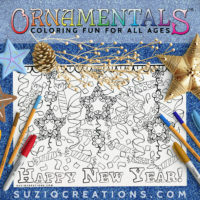 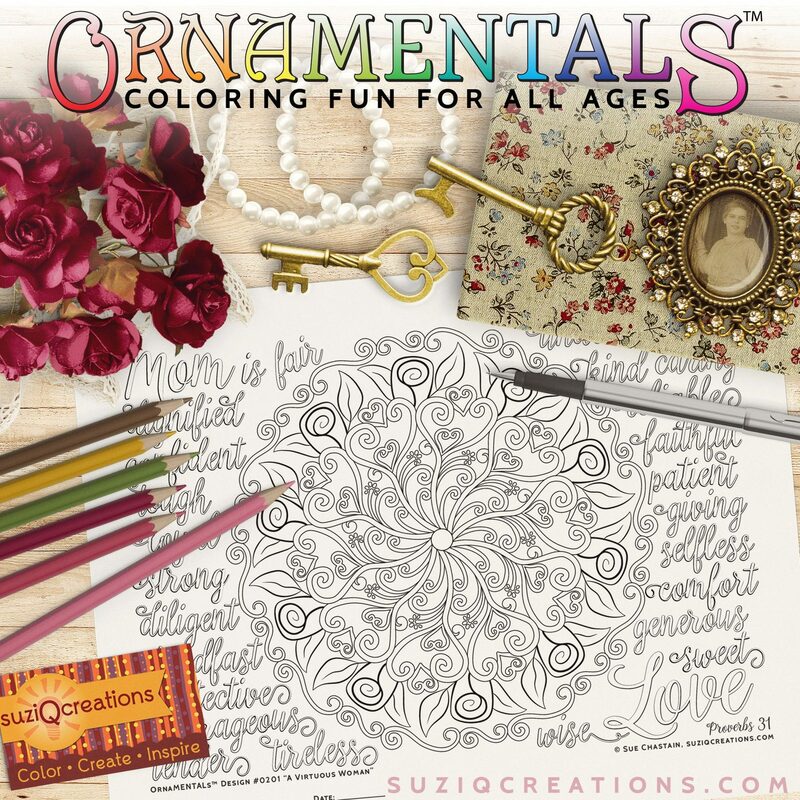 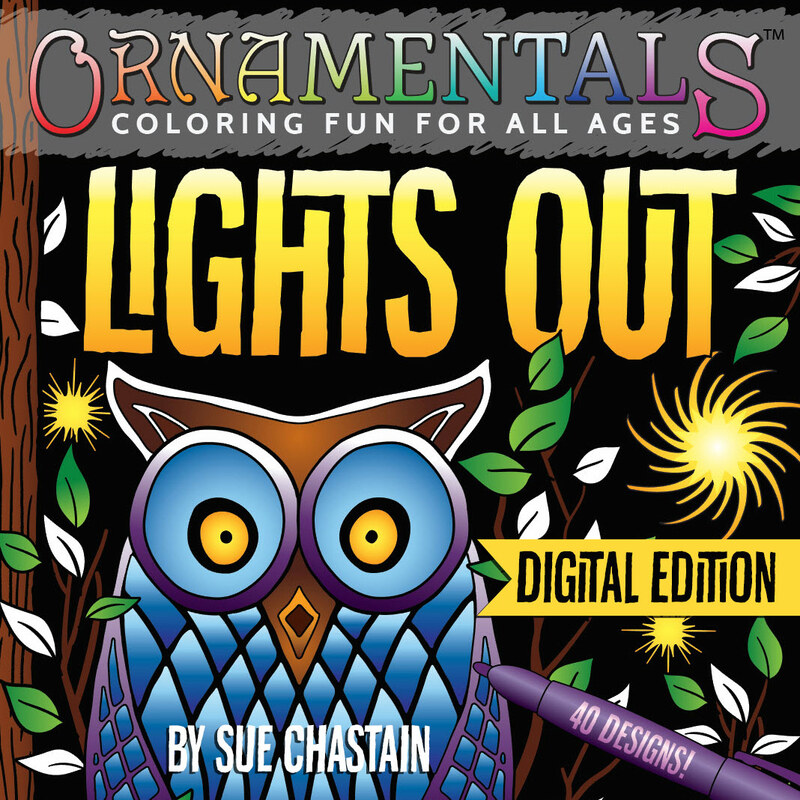 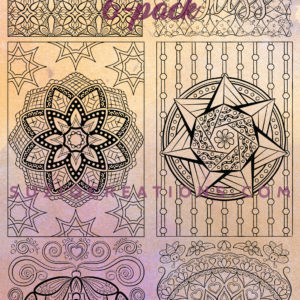 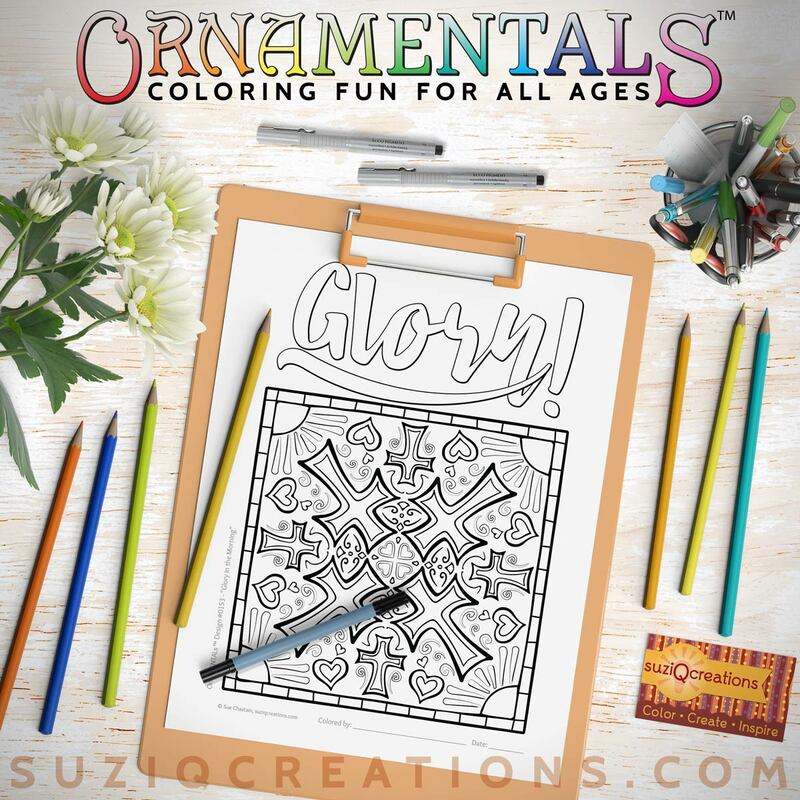 This OrnaMENTALs exclusive coloring page was hand-drawn by Sue Chastain and digitally enhanced for crisp and sharp lines at any print size. 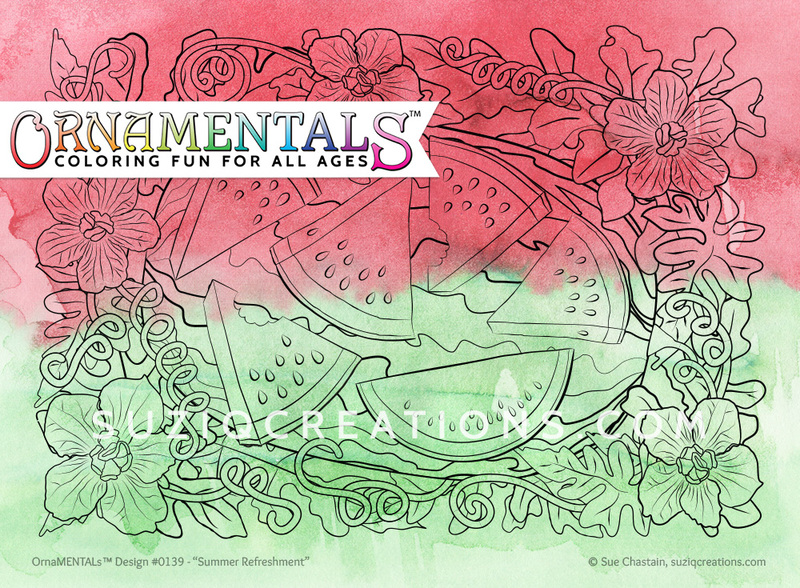 Celebrate summer’s best fruit as you color this Summer Refreshment coloring page from OrnaMENTALs. 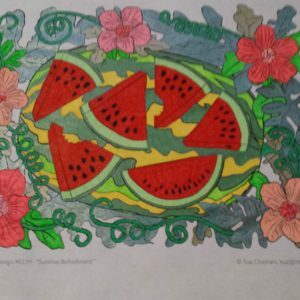 Watermelons are delicious! 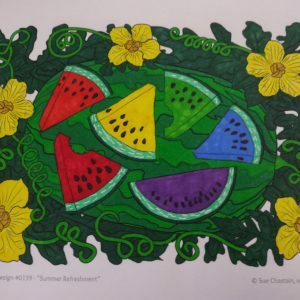 For sure a summer refreshment. 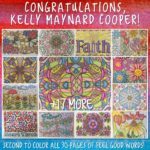 Here’s mine!!!!! 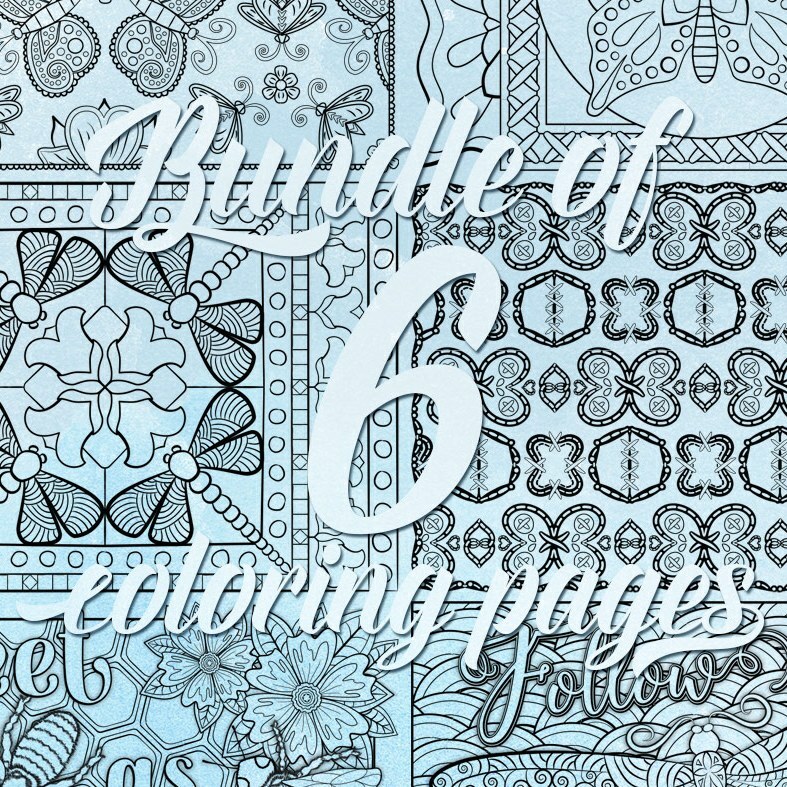 I loved coloring this!